There's a first for everything. 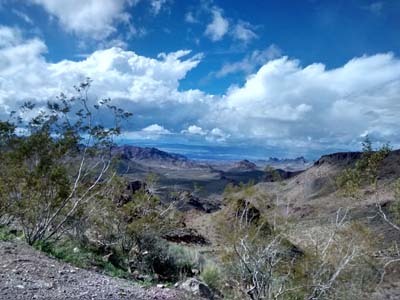 Before leaving on this trip, we realized Escapade (the Escapee RV Club's National Rally) was to be held in Tucson, AZ in March. 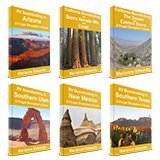 We booked a market booth and committed a week of our trip to promoting Boondockers Welcome and my Frugal Shunpiker's Guides. What we had anticipated would be an "interruption" to our trip - working on the road - turned out to be a very social, extremely entertaining, and rewarding week-long event. 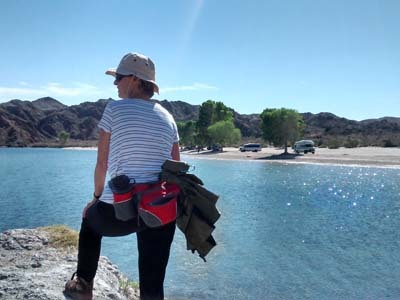 The week before Escapade we crossed from California back into Arizona with several boondocking stops on the way, including a new one that our good friend, Greg, had suggested. Camping on a secluded beach and - wow, was it ever gorgeous! 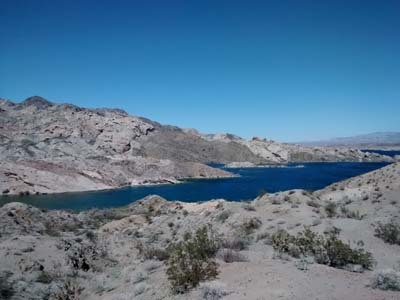 It's also only a few miles off a major highway and accessible to almost any-size of rig, offers free boondocking, and, yes, it really is as pretty as it looks in these photos. A real gem! We spent three days here - a perfect spot to throw in our kayak and explore multiple coves lining the shores. Can you guess where the beach is? I hope so... because I can't tell you. Unfortunately, I had to promise Greg I won't be publishing it in my guides; however, nothing was said about telling friends about it. So, if you want the details, you'll have to make sure we meet in person! And that's a perfect segue to reminding you to sign up on RVillage. We update our current location there regularly. So join (it's free) and send us a friend request (our user name is Marianne and Randy). Your chances of meeting us on the road (and learning the exact location of that special, free, boondocking beach) are immediately increased! We stopped to visit friends in Bullhead City. 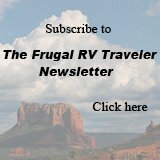 They've been full time RVing but purchased a home base in an RV community and were anxious to show it to us. 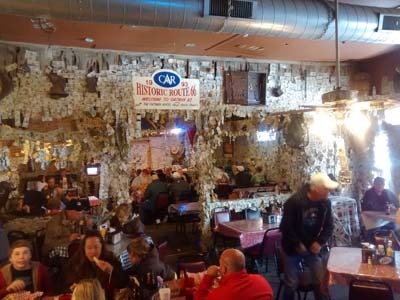 They also treated us to a road trip that included lunch in Oatman, AZ - a neat little mining town that had been on our bucket list for quite some time. An estimated 100,000 dollar bills wallpaper the Oatman Hotel where we had lunch. 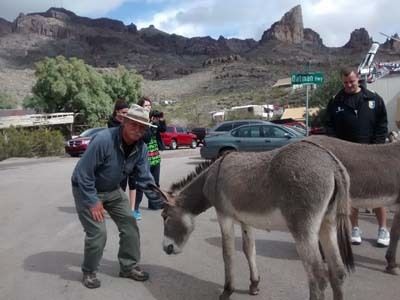 Burros roam the streets to add "tourist appeal". But the best surprise for us was the scenery. Wow! We have to come back to camp and hike here! The second highlight was a Boondockers Welcome stop at what has to be one of the loveliest host locations on the map. Our host, Curtis Coleman, is the founder of RVillage.com. We really enjoyed finally meeting him in person and gained even a greater respect for the awesome resource he's created for RVers. 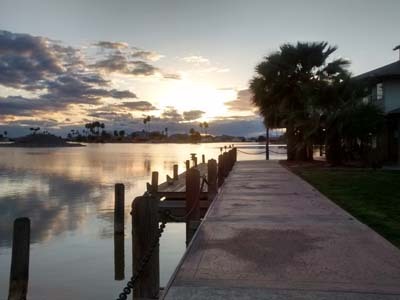 Hard to beat this for a free overnight stop? A final highlight - and really the best one - was an unexpected meetup with dear friends. 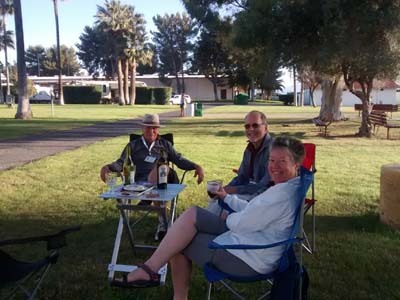 We had thought we would not connect on this trip but, as we pulled into a BLM boondocking area near Tucson, we recognized their rig and enjoyed an overdue reunion. So, actually, sometimes serendipity, fate, or whatever you want to call it, can work just as well as RVillage. The day before we were to check in at Escapade, my laptop, which was crucial to our presentation, crashed. A quick Google search brought up a computer repair shop with good reviews, DataDrive at 2583 N. 1st Ave. It was Friday, mid-afternoon, but Matthew fit us in immediately. Unfortunately, it required a diagnostic that meant leaving the computer behind for a day (in this case, the weekend). When we explained our situation, he loaned us a laptop for the week (at no charge) and quickly installed the programs we needed as well as our tethered Internet. Our week at the Escapade rally included so many highlights, that I'm going to let the photos speak for themselves. Each morning we dressed in our best "business attire" and headed off to "work". Those who know Randy will recognize this was a BIG stretch for him. As vendors, we were invited to take part in all activities, including excellent evening entertainment. 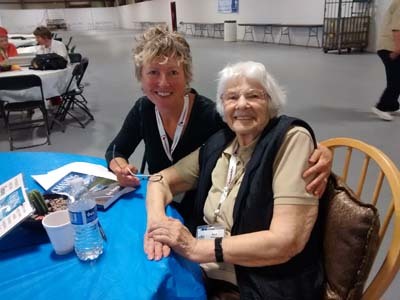 But the best act was Kay Peterson, founder of Escapees, who at 88 years old, had the crowd of over 1500 people rolling with laughter at the opening ceremony. Every day, when the market area closed, we had the tough decision of which happy hour invitation to accept. The big announcement at the rally was the introduction of a new arm to the Escapees RV Club:Xscapers. 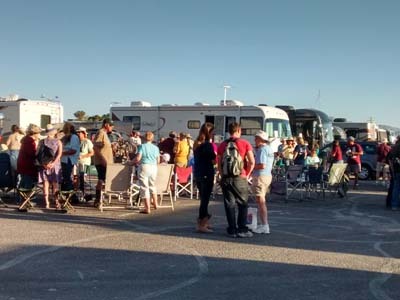 It will focus on the needs of the increasing number of younger RVers to provide a comprehensive support network for a mobile lifestyle. It will pull together resources for families raising children, roadschooling, and working on the road.We were honored to be part of the first ever Xscapers social gathering. And the one-year anniversary celebration of RVillage - over 17,000 member strong and growing! Chris and Cherie of Technomadia, Nick Russell who writes The Gypsy Journal, and Jim and Chris Guld of Geeks on Tour. 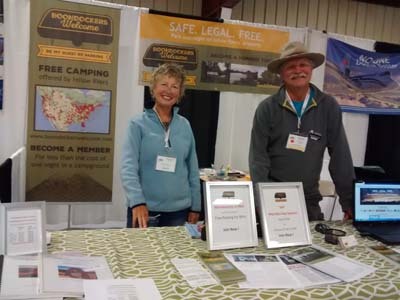 Of course, among the most important people we met were the RVers who stopped by our booth to become the newest members on Boondockers Welcome! What a thrill - to meet and chat with Kay Peterson! 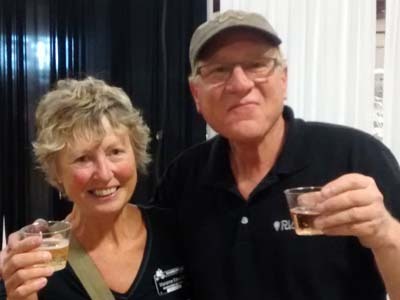 It may sound sappy because, of course, we were here to promote our own interests, but we left feeling enriched in many other, unexpected ways: We felt part of the sharing and caring that are the principals Escapees RV Club was founded on. At the end of the week, even though this was supposed to be work, an interruption in our travels, and although new adventures awaited, we were truly sad to see the week end. The only other regret of the entire event was that we were too busy at our booth to take in any of the great educational seminars. 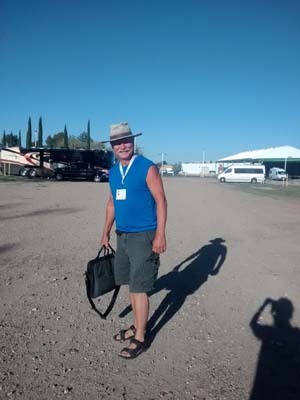 Even as experienced RVers, there were many we wanted to attend. I think we may have to bring extra help to man our booth next time. Escapade 2015 was our first experience as a marketer at an RV rally. I'm sure it won't be our last. While we're likely to try other venues as well, they'll have a hard time competing with the added value of Escapade. The 2016 national rally will be in Vermont in July. Why not plan to attend? 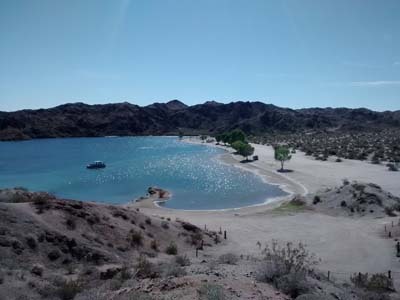 Meet us there and I'll give you the coordinates for that secret beach boondocking location pictured above!